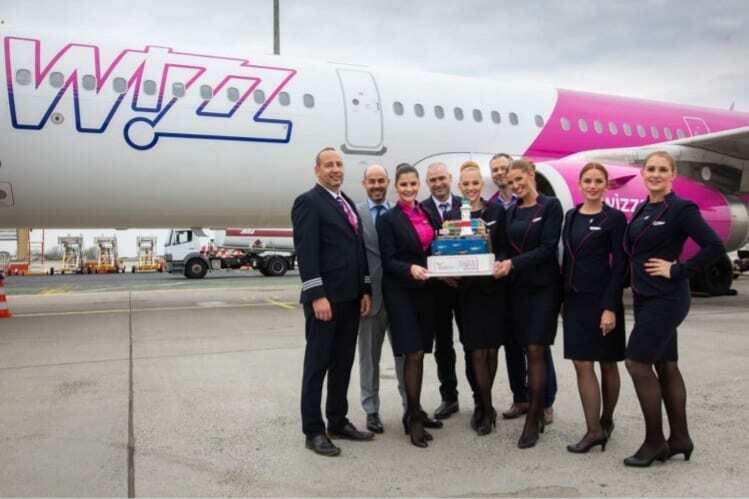 Having launched services from Budapest to London Gatwick on Sunday, Wizz Air adds the Hungarian gateway’s second connection to Oslo today as the ULCC commences a four times weekly service to the Norwegian capital city. The early days of the summer season see Budapest Airport welcoming two new connections with Wizz Air as the home-based carrier launches links to London Gatwick and Oslo. Supporting the advancement of the Hungarian gateway, the ultra-low-cost carrier (ULCC) added a daily service to London Gatwick on Sunday, which sees Budapest offer over 100,000 seats to the UK’s second-largest airport (in terms of passenger traffic) during S19. Today, the ULCC also launched the airport’s third operation to Oslo, adding to Budapest’s growing connection with Norway’s capital city. Seeing a 35% increase in flights to Oslo during the summer season, Wizz Air will offer close to 200 services in total to the Scandinavian country as the latest service joins the airline’s existing links to Stavanger.